For students there are reduced membership fees: per month €20,-, per quarter €60,-, per six months €120,-, per year €200,- and the introduction course is €25,-. Membership fees can paid to the account: Aikido School Leiden, accountnumber NL54INGB0004745452. Please remember that when you join Aikido School Leiden, you will have to join the Dutch Aikido Foundation, which costs €30,- per year. 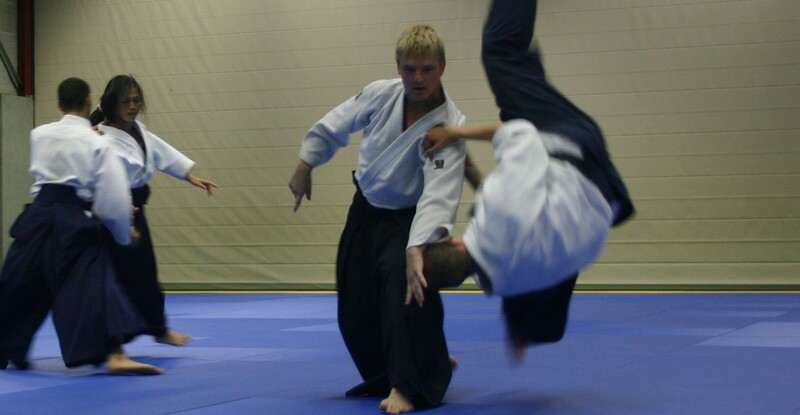 Dutch Aikido Foundation membership includes an insurance that covers certain accidents. Please check here the policy’s conditions for the precise details. All payments for the Aikido Nederland federation have to be made to Stichting Aikikai Holland, account number NL90INGB0009475591. Please state your name, date of births, name of dojo and category of calsses you are following (adult/ychildren/student). onder vermelding van naam, geboortedatum, categorie (regulier/student/jeugd) en dojo. There is a soecial tariff for students of 15€ per year.